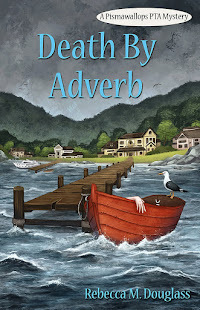 This is a strong series, with interesting and varied characters, and a fun premise with the Moorehaven B&B being strictly a writers' retreat. I find the writing engaging, and the plot complex enough to keep the interest going. Romance interest is high, but done well, so that it doesn't dominate--it is simply part of Pippa's life, one more factor for her to take into consideration as she deals with life and the murders. I found it more of a motivation for her than a distraction, and excessive obsession about insecurities is firmly squelched. Pippa is a pretty good main character, with a decent set of skill, flaws, and human foibles. The secondary characters are also well-rounded, with different characters getting more attention at different times and in the 2 books I've read so far. At first I was a bit bothered by Chloe, who didn't seem quite realistic for a teen, but when I realized she's 19, she worked for me pretty well. That's a good age for a kid to be a total blow-your-mind-helful adult one minute, and face-palm annoying the next. The mystery: I did spot the killer before Pippa did, but I wouldn't call it obvious. There were several layers of mystery, as well, and Hilt's need to solve the 50-year-old mystery was well done, as was the way the mysteries and other threads fitted together. Honestly, my biggest complaint is that they spent too much time talking about and eating amazing pastries. Why aren't these people blimps? 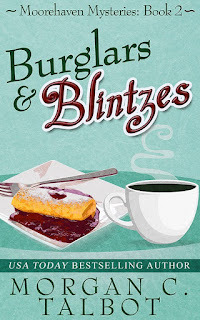 This was doubly cruel because I was reading it while backpacking--no blintzes for me! Seriously, though, it made me think about how much yummy noshing our cozy characters do. I suspect they are doing what we author's can't afford to! Good thing there are no calories in a literary pastry. This is a series worth following. Perfect cozy fare--light and fun for reading when you don't want to work too hard, but still want a well-written story, with characters who make you care so you don't have to make yourself care. 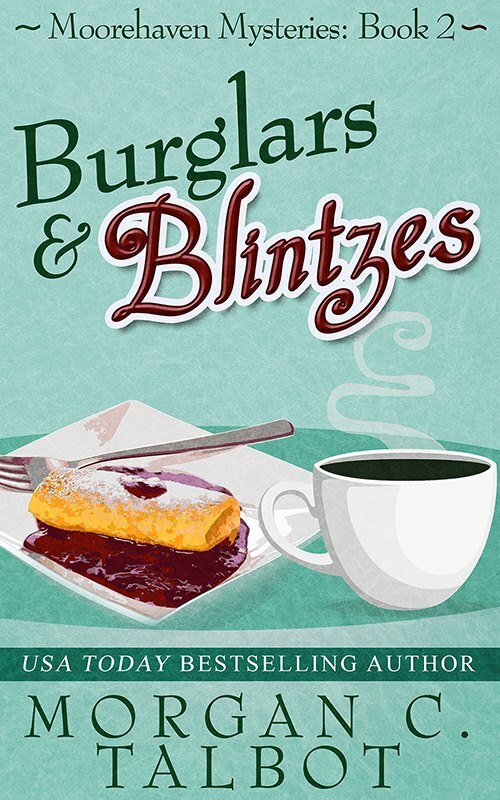 FTC Disclosure: I was given an electronic ARC of Burglars and Blintzes, and received nothing further from the writer or publisher in exchange for my honest review. The opinions expressed are my own and those of no one else. I am disclosing this in accordance with the Federal Trade Commission's 16 CFR, Part 255: "Guides Concerning the Use of Endorsements and Testimonials in Advertising." 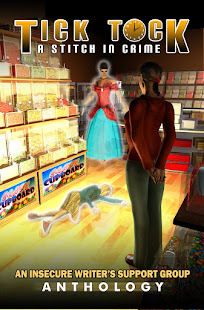 I may have to add this one to my growing list of cozy mysteries. Thank you for the review.